Finally, after months of testing Instagram has finally started to roll out the multiple acoount support to public. Now, it’s available for both iOS and Android users having the Instagram version 7.15.0. However, this feature was under beta testing since last year and I spotted it quite some time ago, though they pulled it back shortly after that. The ability to use multiple accounts actually add a lot of produce to people who have been using Instagram to grow their business or network. Also, it saves a lot of time. Even I have been waiting for it for a long time, just for managing multiple accounts. 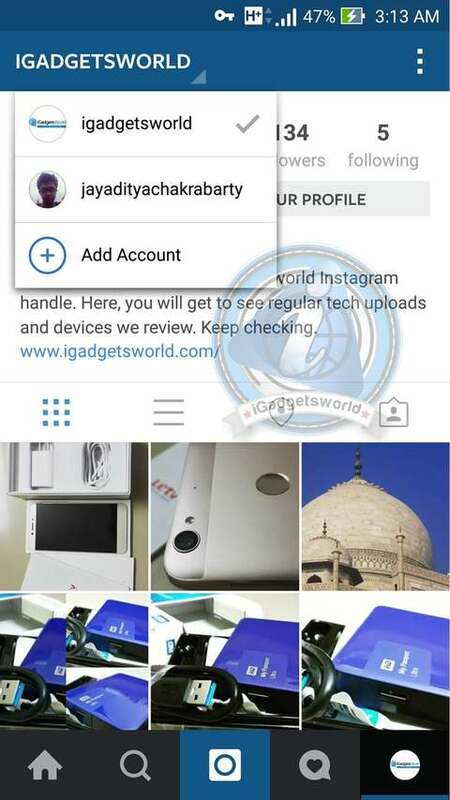 However, I came across Instwogram which is a third party app and let’s you use a separate Instagram account along with the official client. Though it’s quite good, it takes space and if somebody uses it he will have to switch between apps. 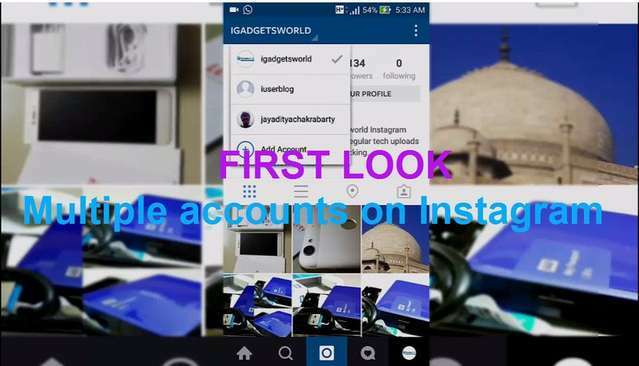 But now, it’s possible to manage as many as five Instagram accounts on a single device. Check it in action in the video below. Instagram has added push notifications for all accounts and also, you can log out of individual accounts or all at once. Instagram is slowly rolling the update to al its users and everyone should get the update within this week. However, I have been using the 7.16.0 but missed it because i don’t use it pretty often, but spotted the news and tried it out. Everything seems to work fine, but Instagram really needs to fix one thing, though I’m not pretty sure whether or how it will be made possible- The ability to add customized Facebook profiles or pages for sharing pictures that are uploaded on Instagram. For people who manage both their personal and business accounts, it’s a much-needed feature. I tried adding my business page on the Instagram handle we have, and I could add our page there successfully. But then, when I checked my personal Instagram, Facebook sharing got unlinked. I added my personal Facebook profile and then, the business page sharing was removed. So, basically, if they want to reach out to more and more businesses I think it’s a much-needed step. However, just copying and pasting the post URL on Facebook page work fine, but again- That is a manual process and kills time. So, would love to see that feature as well. Meanwhile, we will be trying to get more active on Instagram as now it’s possible for all of us to manage both our personal and business accounts. Don’t forget to follow us on Instagram and also, join us on Facebook. Some cool pictures of the devices we will be reviewing will be there, along with some daily dose of Tech facts and some more, including some sample shots we take from different phones. Enjoy the all new multi-account support!! Next articleAsus ZenFone Zoom Review: Is It Really The Best Camera Smartphone?